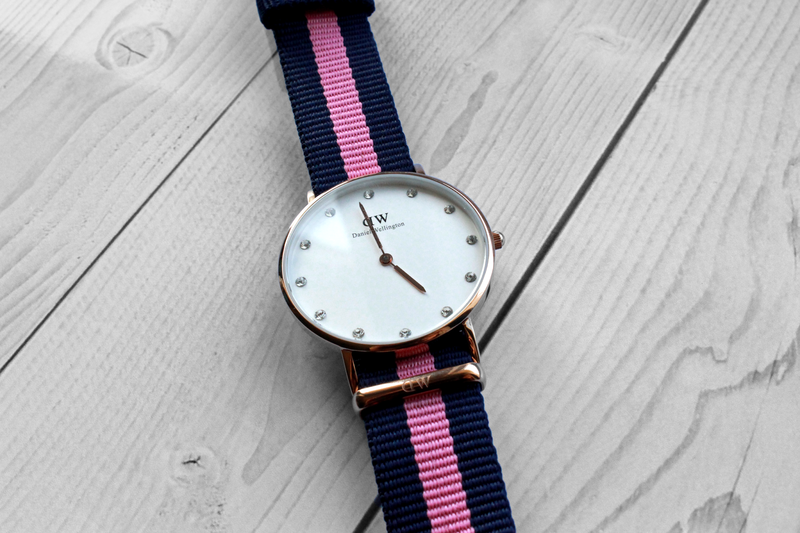 Absolutely loving this new Daniel Wellington watch, I went for the navy and pink Classy Winchester. Kindly, DW have also given a discount code 'LaurieElle' so you can get 15% until October 31st. So if you're thinking of getting some wrist candy, don't forget to save yourself some money! This watch is a staple to all of my outfits, and it doesn't feel right when I don't have it on! This one has a interchangeable pink and blue cotton Nato strap with rose gold plates, it also has the exclusive Swarovski crystals which I couldn't leave out! I love the thin and elegant style, it is definitely a classic! After nosying on the Daniel Wellington website, I found that the Nato strap originated from the British Navy that they wore on top of their wet suites, originally made to avoid rusting - how cool! The presentation and effect of the watch is perfect. Definitely, suites my style!